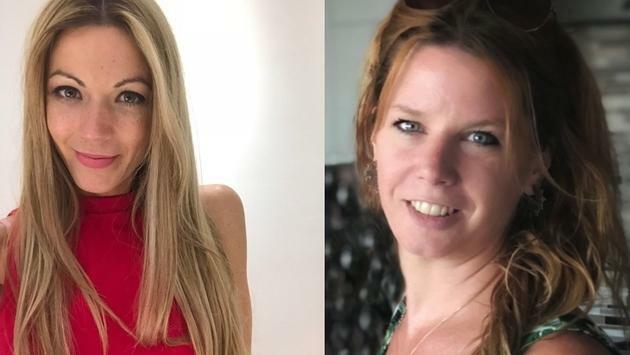 The TravelPulse Québec team is proud to welcome Catherine Maisonneuve and Marie-Eve Blanchard as regular contributors to the magazine for Quebec professionals in the travel industry. With many years of experience, the two popular journalists will use their expertise to deliver quality news to readers. Based in Montreal, Catherine Maisonneuve and Marie-Eve Blanchard have collaborated with several renowned media throughout their careers. A freelance journalist specializing in travel and lifestyle, Catherine Maisonneuve writes in English and French on her travel blog, www.checking-in.ca. She can also be read in several magazines, including Luxe Getaways Magazine, Zeste, HRI Mag, British Airways Magazine, Ottawa Life Magazine, The Montreal Times, The Toronto Times and the blog of HuffPost Quebec. She is also a regular contributor to the Onsenfood and Foodlavie webseries, where she shares her culinary discoveries, as well as Global News Morning, where she introduces new destinations to viewers. Journalist and author of tourist guides, Marie-Eve Blanchard has created and signed the guides Explorer Seville and Andalusia, Escale in Philadelphia and Explore the Gaspésie and Bas-Saint-Laurent at Ulysse. She has also contributed to the writing of a dozen other specialized works, published by Guide Évasion Hachette (Quebec), Parfum d'Encre (Tested and approved: Quebec in more than 100 extraordinary experiences) and at Ulysse, including In the sun: 50 dream itineraries in every season, 52 cities to live as if you lived there, Traveling with children, France: 50 dream itineraries and Fabulous East Coast. As a journalist, she collaborates with several magazines, including the travel and outdoor magazine Espaces, the journal Virage and various specialized blogs. Author of the blog www.mawoui.com, she has written articles and reports for the magazine Voyager, HuffPost Québec, Enfants Québec and Évasion magazine. For the past two years, she has also been a regular contributor to Tourisme Plus magazine, a well-known publication for Quebec travel professionals. "We are delighted by the response we have received from the market since our launch in the fall of 2018," said John Kirk, President and Editor-in-Chief of TravelPulse Canada. "We have to do a great job, because the agents seem to like what we do. Our database has exceeded our expectations. We believed before, as we now believe, that the market, as well as Quebec travel agents, are ready to accept a change in the way in which news and events related to the travel industry are covered. So far, the industry's response proves that we are on the right track. As demand continues to grow, so will we. " "The addition of these two fantastic and well-known industry journalists to our team is a great testament to our growth. They probably had other options available to them and the fact that they chose to join our team is a clear indication that they believe in our brand as well as in the future of TravelPulse Quebec as a leader in the industry. I am honored to join our team, "he added. If you have not met Catherine or Marie-Eve yet, you may do so very soon at one of your events. In the meantime, the two popular journalists can be reached at hello@cathmaison.ca and mawoui.en.cavale@gmail.com respectively.